Over the past few years in Europe, anti-immigration groups have been trying to strike an alliance with greens in an attempt to reach a broader audience. So, for instance, in Britain, the ultra-right BNP has started arguing that immigration leads to greater sprawl and congestion and over-consumption. In Austria, the Jörg Haider-founded BZÖ party combines support for stringent border restrictions with an interest in organic farming and heavy pollution taxes. These parties haven't wooed many environmentalists, but that hasn't stopped them from trying. And what about in the United States? It turns out that a few nativist groups have tried to go the green route here, too. As a recent report from the Southern Poverty Law Center notes, a number of right-wing groups have launched a new organization called Progressives for Immigration Reform, running ads in liberal publications, blaming immigrations for urban sprawl, overconsumption, and a whole host of planetary ills. "Time and again," the SPLC report notes, "they have suggested that immigration is the most important issue for conservationists." Such efforts are hardly new. Ever since the 1960s, nativists have been trying to convert environmentalists to their cause. And, back then, it's true, a number of green leaders did endorse the idea that population needed to be stabilized and immigration curtailed. But the vast majority of mainstream environmentalists soon moved away from this idea, especially during the late 1980s, when new demographic projections made it clear that the global population rate was stabilizing—not least because, as countries get richer, fertility rates drop. 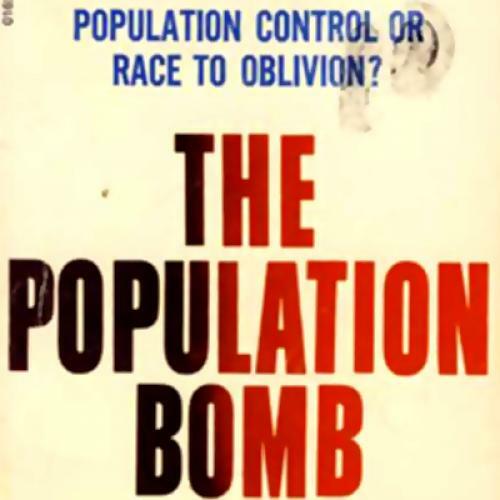 Even Paul Ehrlich, who wrote The Population Bomb in 1968, eventually backed off his restrictionist stance. 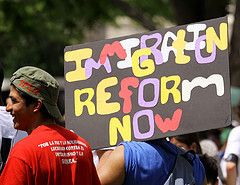 Today, the torch is being carried on by Progressives for Immigration Reform, an outfit funded by Roy Beck, a prominent anti-immigration advocate. Beck's various side projects have tried to enlist greens—in 2008, during the summer of $4 gas, they ran ads in The Nation and The New York Times arguing that reducing immigration could reduce the threat of rising fuel prices. One irony, as the SPLC report notes, is that Beck also has a habit of funding a variety of anti-green causes. He's given $444,150 to NewsMax, for instance, a fringe site that denies, among other things, the existence of global warming and the ecological harm done by DDT.No wonder enviros aren't flocking to his side. Ultimately, though, it seems like nativist groups are never going to link up with greens because they have completely different takes on the major environmental problems facing the world today. Very few green groups believe that climate change can only be solved by keeping people poor—the conventional wisdom among enviros is that technology can help us decarbonize and get richer at the same time. And if that's the case, then immigration is all to the good. It's mainly the right that insists that climate mitigation is only possible if people are forced into prolonged poverty. They're just two incompatible ways of seeing the world.